JIAN: Gerbil Habitat @ FaMESHed! Been craving more tiny fuzzy animals for your SL home? Great! Me t-- I mean, we have just the thing for you! 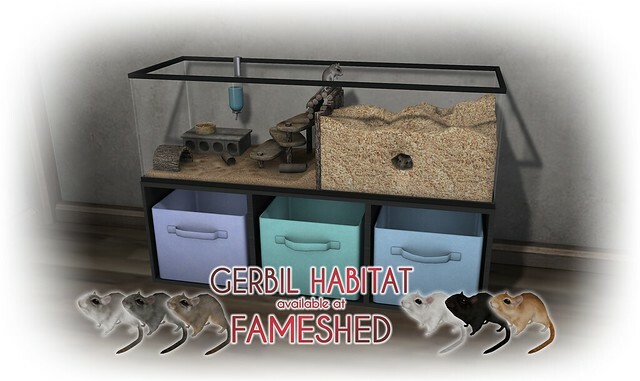 Our new gerbil habitat comes with two animated little gerbils that texture change between 6 fur choices. Find them exclusively at FaMESHed during February's round.